Every home needs a professional carpet cleaning service once in a while. If you are looking to find a trusted company to clean your home carpet, Magic Carpet Cleaning in South Hall is among the best you can choose. We have extensive experience and expertise dealing with all types of carpets – both with nature and synthetic fibres. What’s more our technicians are well-known for their stain removal abilities. Don’t waste any more time and call our reliable local carpet cleaners in South Hall on 020 8861 0979 for a thorough and quality clean results. 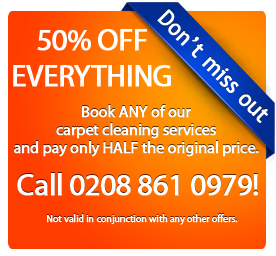 As an added benefit you get a free cleaning price quote for your carpet. Our local carpet cleaners are one of the best in your area. They are fully certified and qualified to deliver steam cleaning services using the latest equipment and tools. All of the products we use are high-quality, safe and tested. No stain or spot is a problem when our cleaners apply the range of their cleaning agents. We offer flexible booking appointments to suit your personal schedule. Just talk to our representatives and book a visit on a convenient for you date and time. Our technicians also give expert advice on improving the longevity of carpets and also offer feasible solutions to keep the carpets clean on day to day basis. We offer an additional Scotchgard protection layer for all carpet types. Just ask our technicians for a price quote when you call us or when they visit your home. To give a posh look to these apartments Magic Carpet Cleaning in South Hall (UB1, UB2) will ensure that the carpets are healthy and resound beauty of the homes. The thorough cleaning procedure includes the use of Prochem brand of chemicals which are currently the best in carpet cleaning business and the Magic Carpet cleaners in South Hall (UB1, UB2) carry more than fifteen types of chemical cleansing agents for tackling all kinds of stains and marks on fabrics of wide varieties. Pets are no longer a worry with our services in South Hall (UB1, UB2) as the backup as almost any strong mark and smell will be absorbed by the steam cleaning methods used by our technicians. Why losing any more valuable time? We know well that time is of essence so we are well-prepared to save you both time and money on your next carpet cleaning service. 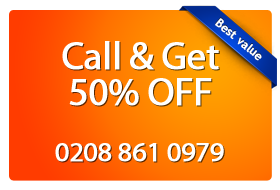 Just dial 020 8861 0979 and talk to our polite representatives. You receive a free price quote and advice on stain removal and steam cleaning! Our operatives will help you through the booking process and you can have an appointment arranged in less than 10 minutes. You can call us 24/7 because we care and we run our phone lines non-stop for your convenience. For a reliable, high-quality service call Magic Carpet Cleaning now!